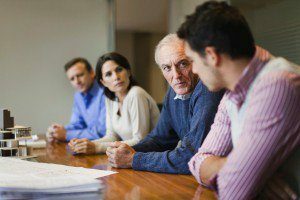 Five Top Causes of "Business Communication Problems" - Advance Consulting Inc.
What’s that you say? Your organization has “communication problems”? I’ve heard that one before. It’s almost as common as “A guy walks into a bar…”, but not as funny. If there is a funny part it is that people often speak with apparent authority about “communication problems” without understanding what causes them at the root. Consequently, when we don’t understand problems at their root, we can never solve them. This article drills in on five top causes of business communication problems. It helps expose communication problems as mostly symptoms, not core problems. As people, we tend to frame problems in terms of the things that are directly impacting us and causing us pain, discomfort, and/or difficulty. For example, if we were to get run over by a buffalo, we might blame the buffalo when, in fact, the problem was the renegade cowboy who started a buffalo stampede at the edge of town. Nonetheless, the buffalo that ran over us was highly memorable and certainly had an impact (get it?). 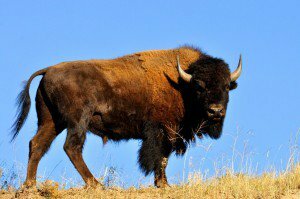 So the buffalo, the thing that directly impacted us, is what we tend to focus on. Next thing you know there is a warrant out for the buffalo’s arrest or, worse yet, the local restaurant is running a special on buffalo burgers. Unfortunately for the buffalo, we solved the wrong problem. This is what happens with business communication problems, and is why people often think the problem is about communication. They complain about it and often tend to blame others who are also caught in the path of a “communication symptom.” This is when innocent people tend to get thrown under the bus. But we can avoid this ugly conflict by simply understanding the real root cause. Here are five top causes of business communication problems. In my personal experience, I believe this to be the number one cause of “business communication problems.” There is nothing like unclear roles and responsibilities to turn what could be a cooperative effort into a cat fight. “He has no business doing that. That is my job!” “I should have been the one going to that meeting!” “She is doing a power grab!” Once these situations start everything begins to look like a communication problem because there is little agreement about anything! The Solution: Clearly define roles and responsibilities in your departments as well as your projects and programs. Decisions are a big deal in any business. That goes for major decisions in areas such as strategy, investment, and operational change, as well as for the more mundane decisions such as what will be on the menu at the next off-site meeting. In all cases, people often have different opinions and competing agendas, they don’t want to be left out of decisions they feel they should be a part of, and they are horrified at the prospect of their decision making authority being eroded by organizational bullies. The “communication problems” that emerge from decision making issues tend to be around an inability to adequately articulate the type of pond scum that best describes the other guy. The Solution: Define governance bodies and mechanisms for major decisions, and decision making authorities within business processes and daily operations. I once had to deal with two competing processes on a major system development program. Specifically, they were the software engineering and systems engineering processes. These processes had been independently designed by two different departments that apparently had fairly myopic views of the world. The processes ended up overlapping a lot, particularly in the requirements definition and design phases. The inevitable turf battle broke out, pitting one department against the other. Each viewed the other as the evil empire. When I arrived on the scene to address the issue I was told that the Department Managers almost had a fist fight in the hallway the previous week. Needless to say, communications were tense and adversarial. The Solution: Define and design business processes from the top down within an overarching framework that defines the essential producing processes for the business enterprise. There are, quite frankly, some very confusing organizational structures out there. Some are designed to satisfy certain powerful people in the organization. Some have a high degree of redundancy where departmental missions overlap. And some are essentially a group of silos that seem to be islands in and of themselves. Poorly designed organizations lead to power struggles, finger pointing, and poor accountability. Clearly, this type of environment is ripe for “communication problems.” The Solution: Design the organizational structure based on what the company does and how it needs to work. For example, if your company works primarily in cross functional teams, design your organization to make teams work well. In contrast to the organizational and operational causes listed above, inadequate alignment among people has mostly t o do with the skills of the people – or lack thereof. The ability to align people around projects, change initiatives, etc. where multiple people are affected is a soft business skill. Internal and external consultants need to be good at this, which is why we teach it in our consulting courses. When people try to push projects or initiatives forward without adequate alignment among stakeholders and those affected, they typically create significant anger, resistance, and of course, “communication problems.” The Solution: Develop your people to understand the importance of alignment and how to achieve it as part of any project or initiative. Notice that while each of the problems discussed above lead to “communication problems”, none of them are fixable at their root by “improving communications.” So next time someone in your organization, or in a client organization, points to “communication problems”, look deeper. You will usually find a more obscured root cause. When you find that, you’re on the right track. Let us know if you need help with your organization’s “communication problems!” See our Business Communication workshops or contact us to discuss Organizational Design, Role Definition, Operational Governance or Business Process Development.